Zerohedge alerted me to this today, but I should have seen it myself because I read Bloomberg quite often. In a world where destroying the wealth of the public through monopolizing the entire money supply and printing it so your cronies and buddies in the government can use the new supply first. Well. As somebody says. Truth is treason in the empire of lies. What he means is that anyone not appointed by government to create money who creates money should be arrested. 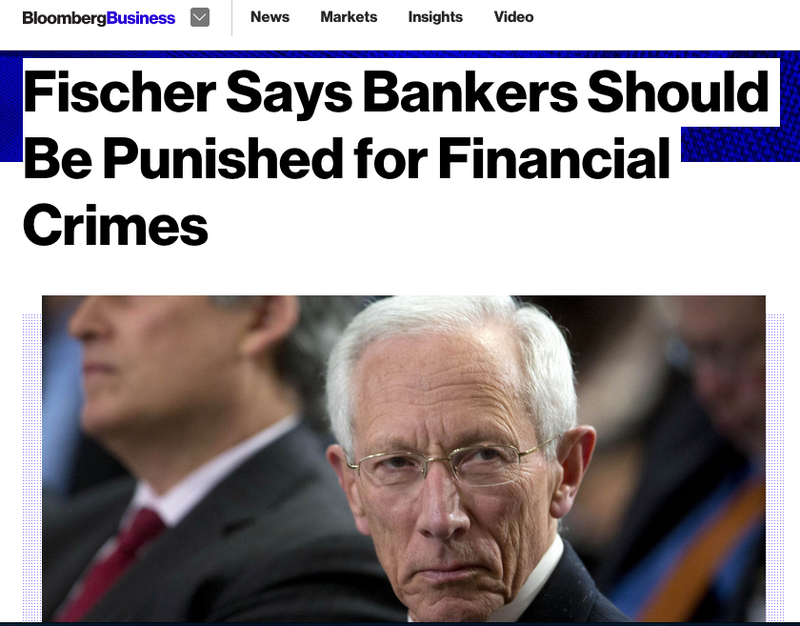 Or in other words, Fischer Says Other Bankers Excluding Fischer Should Be Punished for Doing What He Does.